The 2019 APPMA Awards of Excellence have been announced at a glitzy and sustainably-themed gala dinner in Melbourne. Foodmach and HMPS were the night’s big winners, picking up three and two awards respectively, while ProSeal picked up one for Customer Collaboration. Mark Dingley, chair of the APPMA, offered hearty congratulations to all winners. "Congratulations to both Foodmach and HMPS. This is a great result for both businesses and to win multiple awards like this is a wonderful testament to your efforts. "On behalf of the APPMA board, I commend every business that submitted an entry. By looking to improve your own businesses, you are continuing to improve and advance our industry as a whole. Thank you for your dedication," he said. The 2019 APPMA Scholarship went to Nestlé’s Janell Siek, who thanked the industry and everyone who encouraged her along the way. Dingley praised Siek for her dedication to the industry and predicted great things in her future. "Janell views packaging as perhaps the hardest-working component of any retail product. She believes it has a profound impact in a product’s lifecycle, and, being a very visible part of the waste problem, hopes to build her packaging foundations so she can better innovate and problem solve. "We congratulate Janell on her continued persistence in learning and professional development, and on winning the 2019 APPMA Annual Scholarship," he said. The evening, hosted by legendary Australian comedian Peter Rowsthorn, was focused on sustainability, with décor and even food sourced from eco-friendly suppliers, according to Dingley. "Our event tonight was a showcase of sustainability. 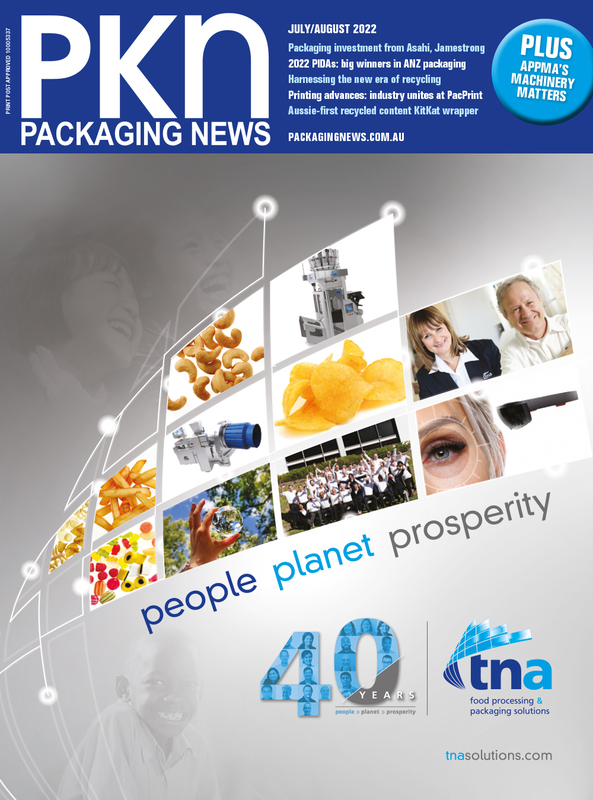 The innovations and dedication highlighted at this Gala Award Ceremony show that the entire Australian packaging and processing industry has a viable, sustainable long-term future," he said. Click through PKN's gallery from the night above. "The industry needs to be brave to embrace innovation," said Foodmach's Earle Roberts. "There is a risk, but the commercial advantage is worth it." "Industry has to look to the youth," said Scott Templeton of ProSeal. "We have a responsibility to them, and we need to invest in them, encourage them, and give them opportunities – they will drive our industry forward." "I am so proud of our team. Australian manufacturing is now world class, and we can compete on any stage," said Mark Emmett of HMPS. "I pay tribute to my competitor Greg Windsor, CEO of Fibre King, who encouraged us to look overseas to southeast Asia," said Mark Emmett of HMPS. "I took a three by three stand and had a great show, been growing ever since. Now, six years later, it is a massive market." "Development came over late night beer. The customer asked for all in one can and glass line," said Vipoll's Jakob Salamun. "I asked our technical director, he said it could not be done, but then stayed up all night and came up with an idea in the morning. Two years later we had the line."